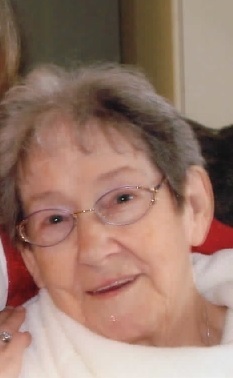 Orva L. Suprise age 95 of Janesville, WI died at Mercy Hospital of Janesville on January 14, 2019. Orva was born on October 3, 1923, daughter of the late Clarke and Augusta (Pierce) Wilcox. Orva married Frank M. Suprise on February 24, 1944 and were together until the time of his death. Orva worked for over 32 years at Schafer Brush Company where she was an assembler on their manufacturing line. She also loved her TV shows, such as John Wayne and The Statler Brothers. She also loved playing the game of euchre. Orva is preceded in death by her parents; her husband; and children; Karen Sickler, Leonard Suprise, Yvonne Simmons; sisters Eva Jaggi, Geri Jacobson; grandsons Ronald and David Suprise. She is survived by her children; Dale and Donald Suprise; daughter-in-law; Carol Suprise; sister JoAnn (Gerald) Mitchell; 10 grandchildren; and 13 great grandchildren. Funeral Service will be held at 10:30AM on Friday January 18, 2019 at Haase-Lockwood & Associates Funeral Home 730 N. Wisconsin Street Elkhorn, WI. Orva will be laid to rest at Roselawn Memory Gardens following the funeral service. In lieu of flowers memorials may be made in Orva’s name to Southern Wisconsin Humane Society 222 S. Arch Street Janesville, WI 53548 or Meals on Wheels 1000 Mineral Point Avenue Janesville, WI 53548. Online guestbook can be found at www.haaselockwoodfhs.com.